And, here we are. We couldn’t protect a lead in Utica. 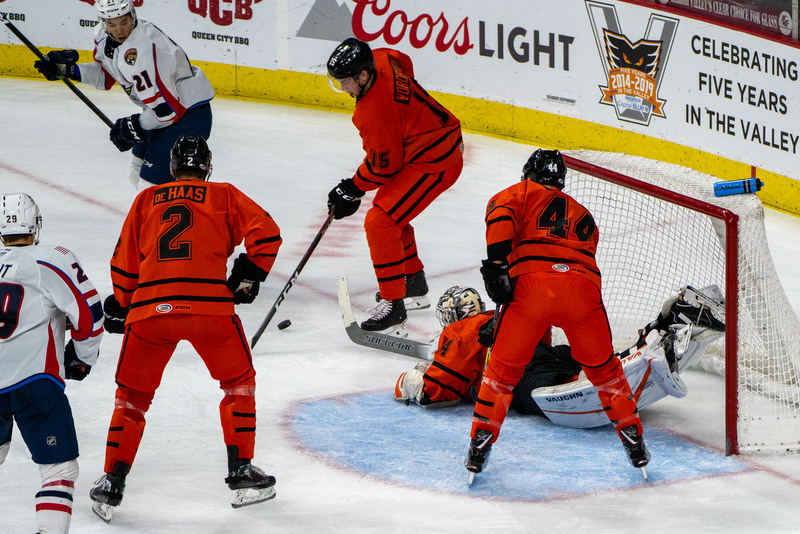 Then things can always happen–the “hidden vigorish” of the Wolf Pack’s losing streak combined with a Phantoms roster still in flux following call-ups, and trades, and throw in a little bad puck luck, and we’re now hoping for two of six points at best, playing hockey while it’s still light outside. Yesterday’s trade which sent F Dale Weise and D Christian Folin to Montreal returned two Laval Rocket players to the Phantoms. Enter #18 C Byron Froese and #4 D David Schlemko. While they were officially added to the roster yesterday, they were travelling and still not in town for the game, I was told. Impression: I like the trade a lot. Even if I don’t like some of the moves surrounding it (below)–it’s better than not making that trade, that’s for sure. 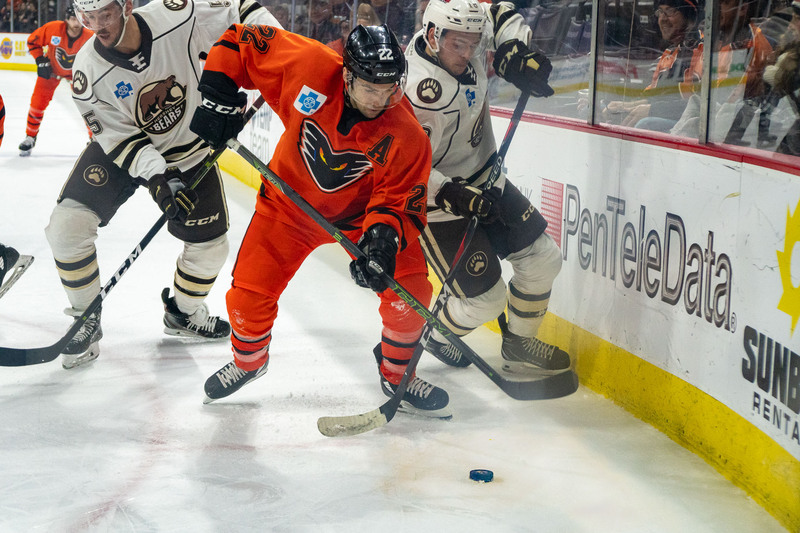 This is the Flyers recognizing that the Phantoms need to put an AHL team on the ice rather than an ECHL squad. 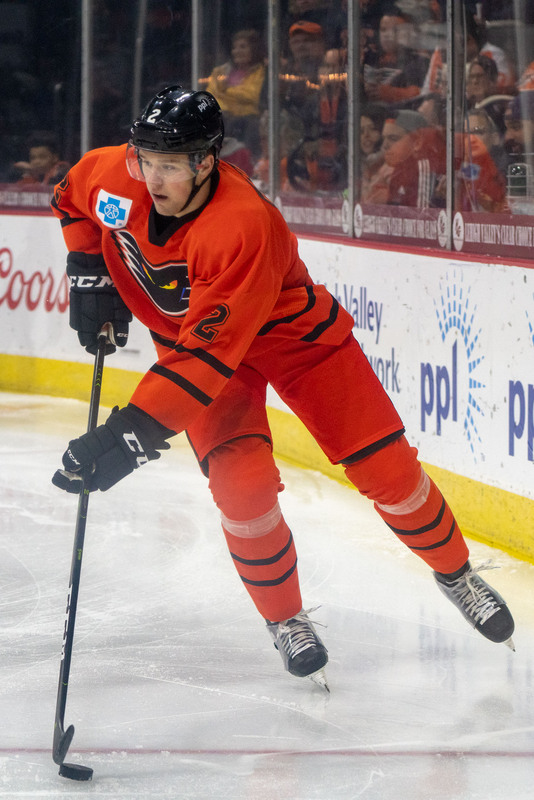 Froese is one of those guys when you look at the opposing roster you feel like he might be the guy who beats you that night–might be the one to get #1 star or pot a hattie or something of that nature. 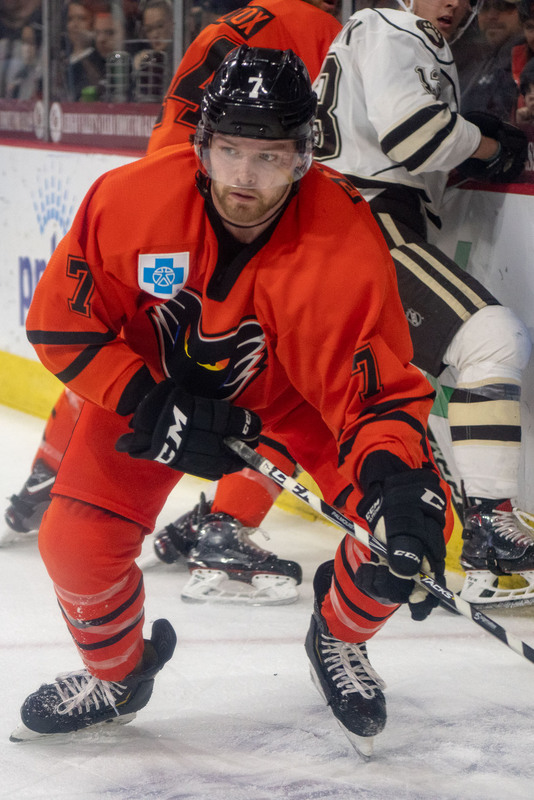 I kind of liken this move to when Varone came over from Binghamton in the off-season a couple years ago. He was really good. Put him on the Phantoms surrounded by a bunch of young talent and some quality veterans? He was great. That’s a tall order for Froese, but he wasn’t the Laval captain for nothing. Slot him in at center on the top line and let him get comfortable with Carey and maybe he’ll be back to point per game production. 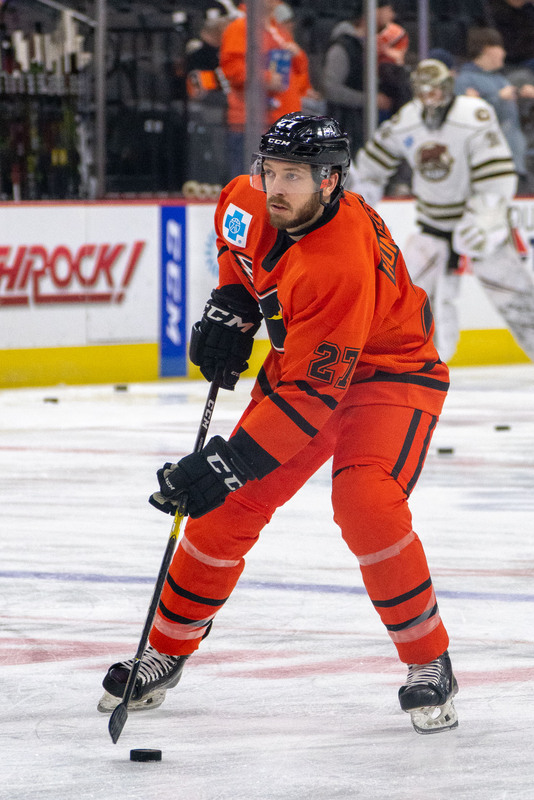 While Froese’ contract is expiring at the end of the season, Schlemko is signed through next season and could challenge for a spot with the Flyers as the sixth or seventh D-man. He’s a left-handed shot, stay at home blue liner who just passed through waivers after having played 18 games with Montreal this season. He’s got a ton of NHL time with Phoenix, Dallas, Calgary, New Jersey and San Jose in addition to Montreal. He should be good for us as well, and should be motivated to show the Flyers that he’ll be in the mix in the fall. Also yesterday, D Philippe Myers officially got the call to the NHL. 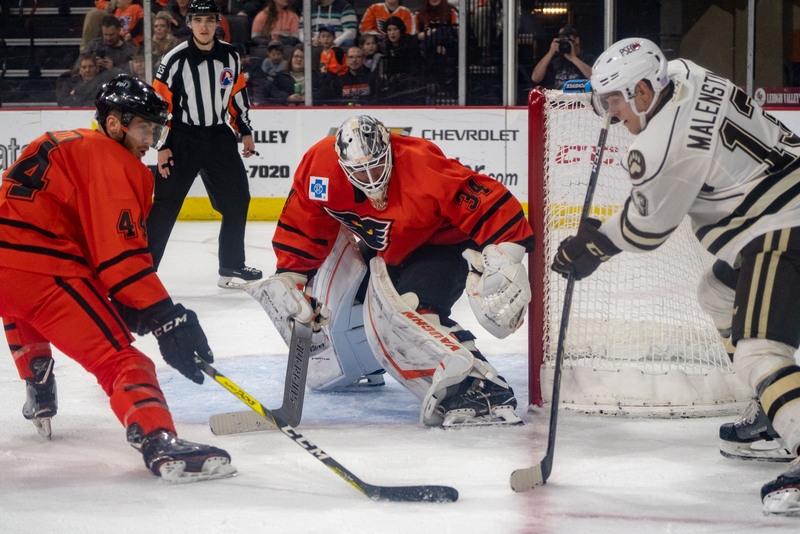 They didn’t rule out his return to the Phantoms, but he’ll get a nice long look in Philadelphia as plans continue to be made for next season, and winning games seems to be something the Flyers can do again. 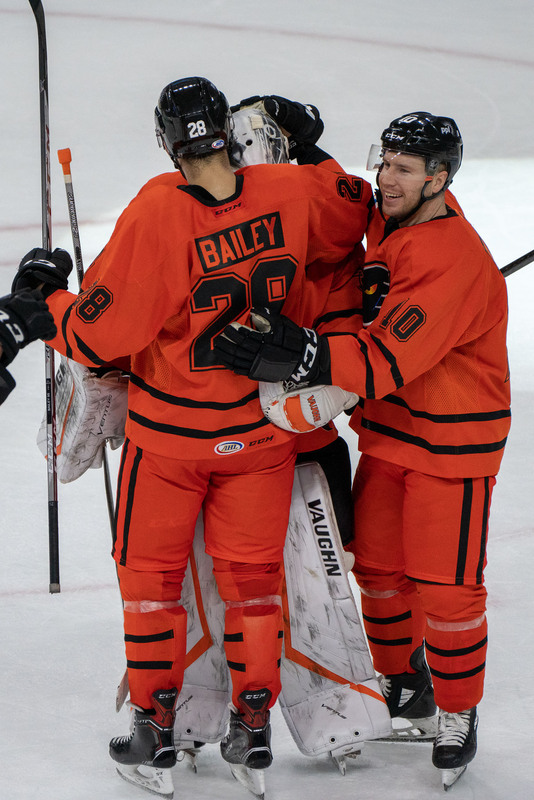 This morning, F Justin Bailey got the call to the Flyers. 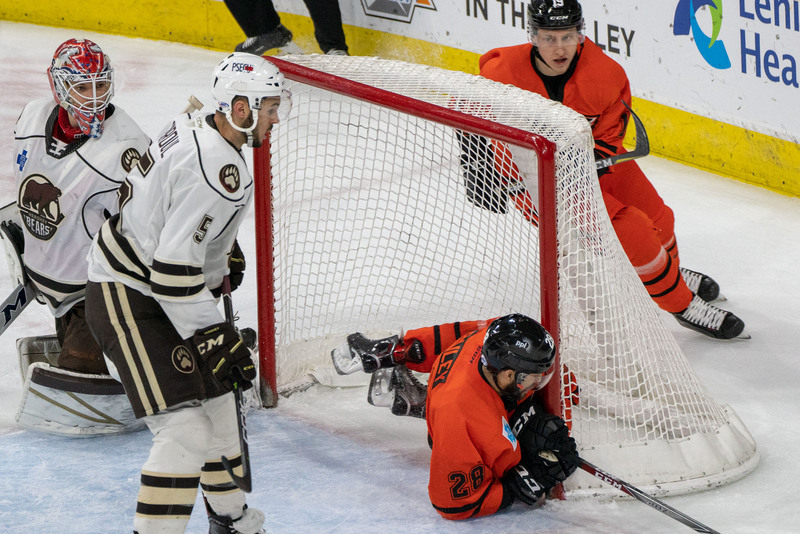 Other than Alex Lyon, he was the guy who looked the best in last night’s game at the PPL Center, but he couldn’t seem to get the puck to go in the net. 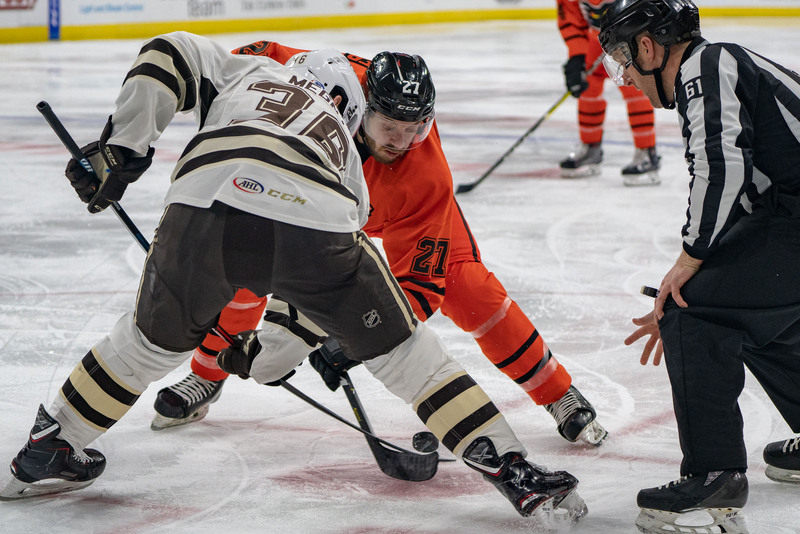 He’s only 23 and came over for Taylor Leier. 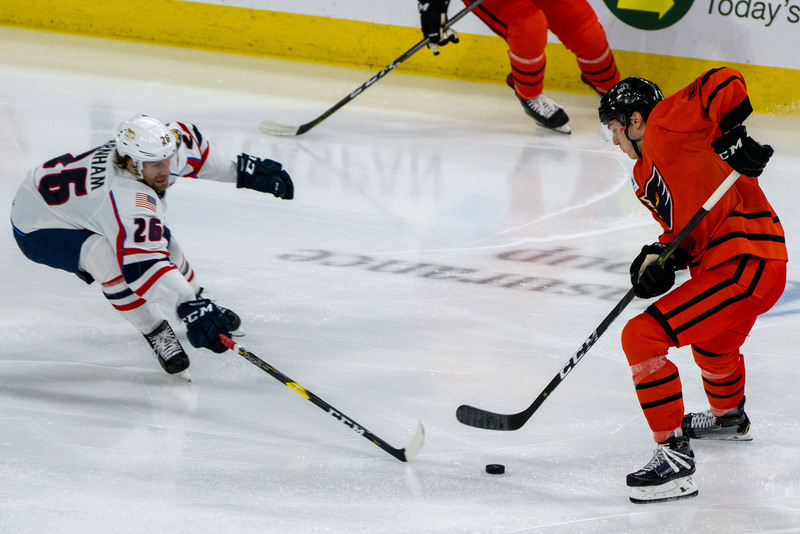 He’s been in the NHL before with Buffalo, but the Flyers will want to see if he fits into their plans as a bottom-six physical guy who can skate. I foreshadowed this move in Thursday’s Notes column, but it still hurts. Do waivers run on Sunday? If they do, we could get the return of F Corban Knight today. He’s been cleared for full contact following shoulder unpleasantness suffered back in October. He’s been skating right along, but I’m not sure if they’ll throw him in today or wait for next weekend–even if he is here. 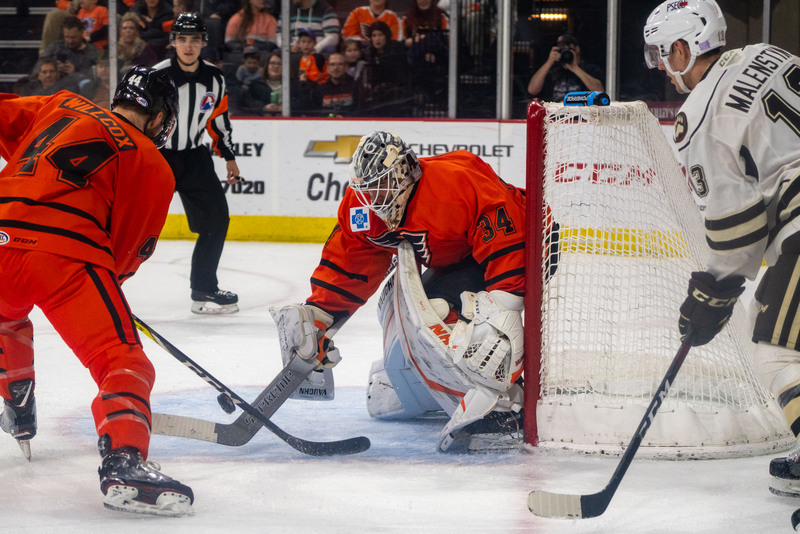 Longtime readers will recall that Knight is among my favorite Phantoms ever, so of course I’m happy to have him back, and think he’ll be a key piece down the stretch. Anticipating the next move? Well, I think G Mike McKenna plays in net today, then goes on waivers tomorrow. I think G Brian Elliott gets a ‘conditioning’ game with us next weekend–maybe Friday. Elliott and Neuvirth both practicing today in Voorhees. But you never know, I’m just guessing, especially in trade season things can get crazy. Lyon returned last night, and Komm was sent back to Reading, so I’m looking at the veterans cycling through here until perhaps the music stops and one of them stays. We’ll see. If not, then Komm might be the guy to support Lyon all the way. 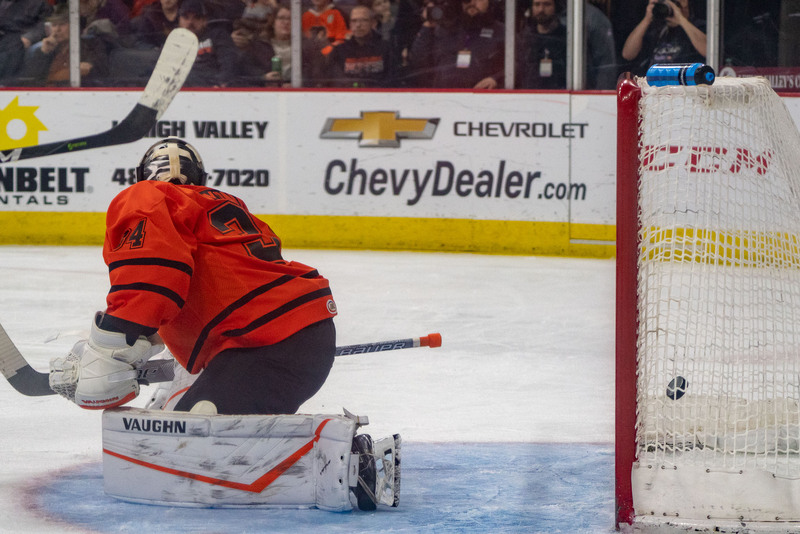 Earlier to day I wrote about how I hate Carter Hart. Keep in mind the veteran rule when you see the scratches: Brennan, Samuelsson, Conner, Lehterä, McDonald, Froese, Schlemko and Knight all veterans. Pick 5. The only injured player who is (maybe?) slated to return at some point sooner rather than later is F David Kaše. But I haven’t heard anything lately about him being close, so I’ve stopped holding my breath. 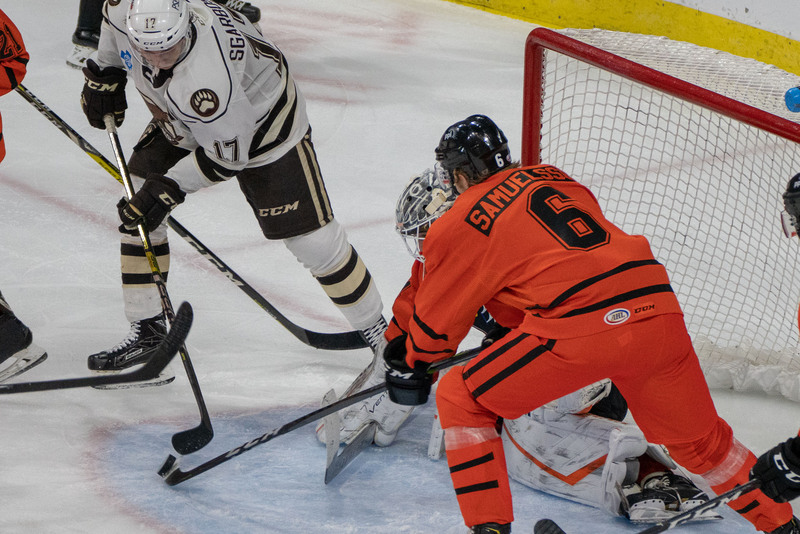 Rubtsov is definitely done for the year, and Aube-Kubel might be. Cole Bardreau might be able to get back before the playoffs (should we be so fortunate to be included). 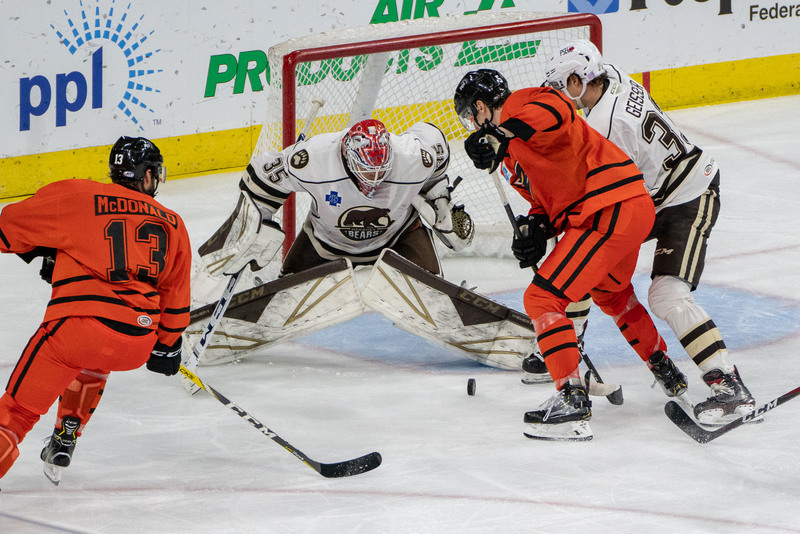 Providence and Hershey are white-hot. Springfield is scuffling. Hartford isn’t very good (yes, I know about last night and I’m not happy about it.) Everyone else is playing about .500 hockey luckily for the Phantoms, who need to string some wins together to remain in the top group. It’s a “groundhog day” game as we repeat last night’s match with the Hartford club. We’ll likely have different goalies at each end, so that might give it a different flavor–as well as the roster fluctuations above. It’s ‘wall cling’ day for the kiddos. Get there a little early and use a main entrance to get the giveaway. Good seats still remain for today’s contest, which will be packed with screaming kids. We’ll see how that works out, but it’s good to get one of these once in a while. Ask me at 5:30 if I still feel that way. Eighth Street remains closed entering downtown at Walnut, but may reopen one lane tomorrow and by next weekend. Hamilton west-bound at fourth street, though, will be a problem next weekend. Keep in mind many restaurants are closed today. Hamilton will be open until game-time, but closed afterwards. Bell Hall is closed, as is Bay Leaf and Tacos y Tequila. If you’re thinking of a post-game meal, I’d go Queen City, Dime or BrewWorks–or somewhere else further away, on your way home. Always with the goalies. I’m expecting another Mike McKenna game. Can he finish better than Friday’s collapse? If he looks great will he be more likely to pass through waivers? Should we be cheering for a bad game so that we can keep him? This is how crazy I am. New Dudes: Look to see if we get our first taste of Froese and Schlemko. Veterans: As detailed above, we might not be as stacked as you think, thanks to the veteran rule. It will be interesting to see the lines. I miss Bailey already. Kiddos. How much romper room will there be? I swear my aisle is the busiest one in the entire arena–I’ve been looking at the other aisles when my view is blocked from the hockey game by folks wandering around, and most other aisles are clear or there’s minimal traffic. Can a fan get a decent usher? The sign doesn’t work if you hold it by your side, you know. Where will the goals come from tonight? After seven last weekend in Bridgeport, they’ve been hard to come by. 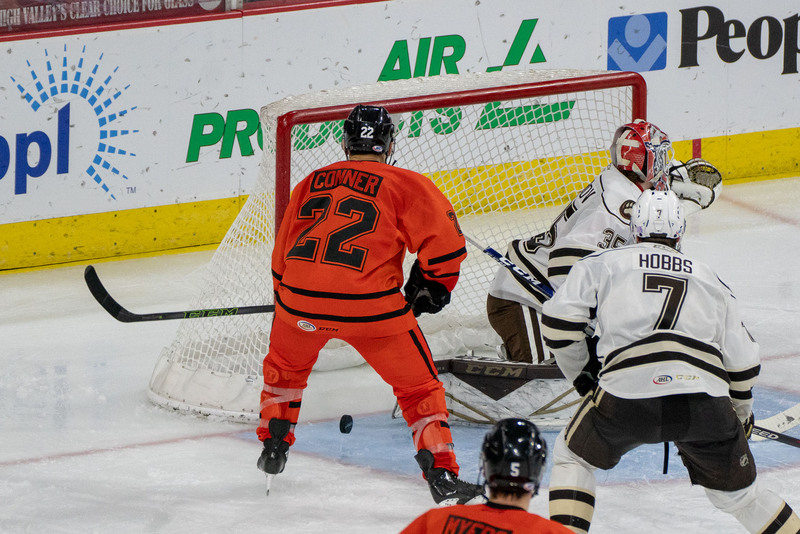 Another 3/3 next weekend, starting Friday at the PPL Center versus Bridgeport. 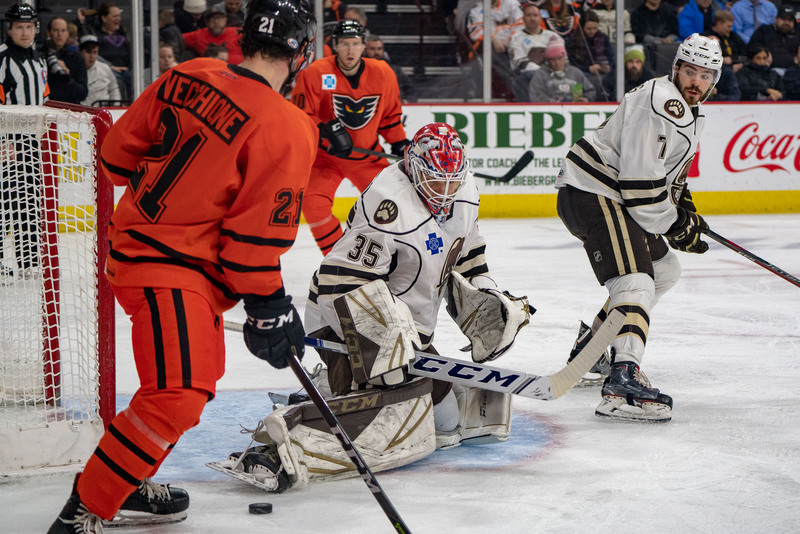 Then, a home/home with Hershey Saturday at Giant Center, and Sunday back here for a 5:05PM start and meLVin’s Birthday–one of my favorite games of the season. Important games, all. Emptying the photo files–all photos by Jack Mitroka, they belong to him, please don’t steal them.